City Hall funding for major estate regeneration in London will only be provided if residents vote in favour of the changes, the mayor has proposed. Stop the Housing and Planning Bill! Southwark Council has been demolishing council homes at an astonishing rate at the same time as promising to build 11,000 new council homes over 30 years- and it has only recently pulled back from the threat to build the new homes on existing estates which will be “redeveloped”. But the “redevelopment” of the Aylesbury estate has not been dropped and will involve a huge loss of council homes and any new socially rented homes will all be housing association homes. 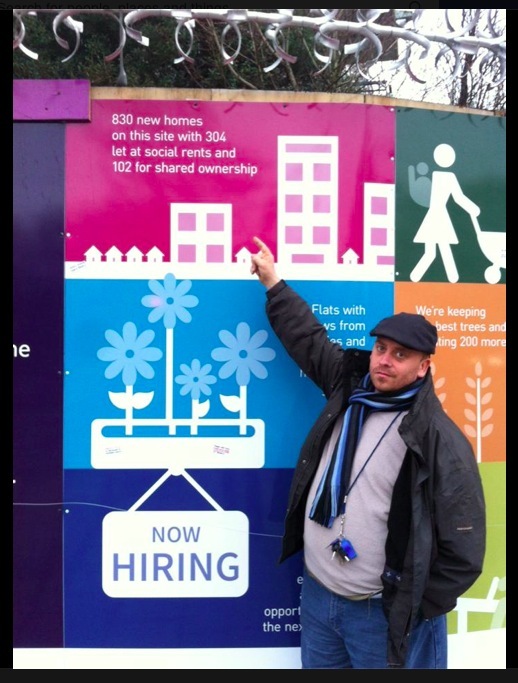 There will be no new council homes on the new, gentrified Aylesbury. More than 1,500 have signed our petition (2016) against this programme of social cleansing, and Aylesbury tenants and leaseholders are demanding that the Council refurbishes their council homes instead of demolishing them. They voted in 2001 by 73% on a 76% turnout against transfer to a housing association. Yet the Council has ignored their vote and is going ahead with its plans. The “regeneration” of the Aylesbury has cost £46.8 million so far – that money could have been spent on refurbishment instead of kicking people out of their homes. Join us to demand the Council reverses its plans. Resist the Housing and Planning Bill! Many local Councils have criticised the Tories’ Housing and Planning Bill because it forces councils to sell off council homes on the open market, introduces means testing for council homes and destroys councils’ ability to require developers to build social rented housing. An amendment to the Bill may even end all lifetime secure tenancies for new tenants. Southwark Council joins with other councils in opposing the bill and its implementation by all possible means. 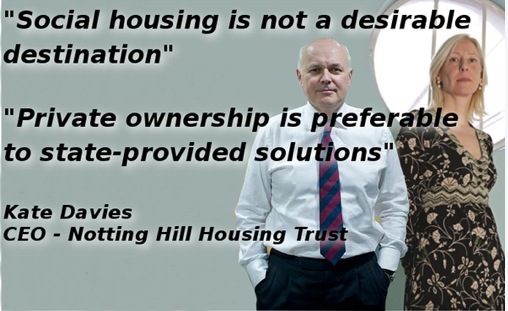 *Keep granting permanent affordable and secure tenancies! The Housing and Planning Bill will destroy social housing – together we can stop it! Refurbishment, not demolition for the Aylesbury! Great news from another Council Estate under threat, Cressingham Gardens in Lambeth! Residents are celebrating a victory against their local authority landlord after a judge quashed its unlawful decision to demolish up to 300 homes at the High Court. Report in South London Press – Council “acted unlawfully” over Cressingham Gardens consultation. the Aylesbury estate Compulsory Purchase Order reconvened on 13th and 14th October 10.00-17.00 in Arry’s Bar at Millwall Football Ground, Zampa Road, London SE16 3LN. We are awaiting the planning inspector’s recommendation to the Secretary of State, who will then authorise or block the compulsory purchase orders, with a decision likely in four to five months. If nothing else, the 35percent campaign, who blog about new developments meeting Southwark’s quota of social housing, claimed a victory during the hearing as their evidence resulted in a tight definition of what constitutes social rent being written into the legal agreement for the development. Residents already successfully won two adjournments in May and returned with full legal representation to restate and elaborate several of the points from their Statement of Case. And it was a “viability assessment” what did for the provision of genuinely affordable housing on the Heygate. Read here how Southwark Councillors responded to the Guardian article that publicised this information, but also how newly elected MP Neil Coyle’s 1st parliamentary question was about making viability studies for planning applications more transparent and open. A date has been set for the Aylesbury CPO Inquiry to resume. The Inquiry will reconvene on Tuesday October 13th back at the Den. This time the objectors have instructed counsel and will be represented at the hearing by a barrister from Landmark Chambers. There is a four-day Public Inquiry into the Aylesbury redevelopment, open to the public and held at the Millwall Football Club Conference Centre from Tues 28th to Fri 1st (10am-5pm). For an idea of what will be debated at the Inquiry, this copy of the Objectors’ Opening Submission sets out their arguments very clearly. Southwark responded to the Occupation with a £140,000 fence, and 24hour security. The fence went up, came down, and is now up again. Watch this TV news report on Southwark Council’s barbed wire fences here. And the video of the fences coming down here. And the Occupiers reflection on all this here. Have you a legal background? Help is needed for the 4 day public inquiry at the end of the month (Tuesday 28.4.15) into the Compulsory Purchase Order. We are objecting that the Compulsory Purchase Order is not in the public interest, because it’s forcing us out to make way for luxury housing that none of the existing tenants or leaseholders will be able to afford. Despite ongoing concerns about NHHT’s record on providing genuine affordability, the Aylesbury planning application was passed by Southwark’s planning committee on 23rd April, with one abstention. Read reports on the meeting here and here. March 2015 – It’s still the Chartridge Occupation, isn’t it, expanded into Chiltern offices, and now the flats above. Notting Hill’s Housing Association and Southwark have practiced sleight of hand on Bermondsey Spa (35percent.org blog, 18.3.15) – rewording ‘social rented’ as ‘affordable’ (see “Jargon Busting – That’s not what we call ‘affordable’”), after being given planning permission, in the final legal agreement. This seemingly small change has huge consequences for what rents will be charged, e.g. a 1-bed social rented flat in Bermondsey(SE16) costs an average £97 per week, compared to £273 per week for affordable rented flat at 80% market rent. So is it worth taking the trouble to engage and object? Well. It maybe is worth having objectors views on the record. It gives Council Officers (some of whom, maybe, are the engineers of this whole ridiculous and unjust plan from the outset) something to do.. and think about.. Anybody may object – this is a useful resource http://commentform.herokuapp.com/ -scroll down for more information on this..
and sign the March for Homes open letter.. Missed the march? This is so much easier – please do add your name and sign this! having been taken down for a month. Although the stated deadline for residents to make comments and objections is 30.1.15., we have been advised that all comments will be taken into consideration up until the date when Southwark Council make their decision on the Planning Application – no date has been set yet. Also, although, apparently your local Councillors can not indicate their opinions and how they are likely to vote, it is worth passing on your comments and observations to them too. The above information applies to the Aylesbury-wide plan. Get your first comments in asap – and you can make additional comments at any time. “Target Rent is calculated according to a formula that relates to the market value of the property and earnings in the area. To protect residents in high value areas, the formula is capped according to the number of bedrooms. The Target Rent increases each year by a formula based on the Consumer Price Index (CPI). Catch-66: who is actually eligible for London’s ‘affordable’ homes? including this group of housing campaigners. The number of people in Housing Need in Southwark is currently 20,693 (as at 11/10/13), 380,301 London wide & 1.8 million nationwide. Wolverton has now been demolished. See the 2.11.12 post below for details and discussion of the plans for L&Q’s ‘Harvard Gardens’. Four large consortia bid to redevelop the rest of the Estate (the South West Corner has now been ‘regenerated’ by L&Q). The bid was eventually won in January 2014 by Notting Hill Housing Trust with Barratt London as developer partner and a panel of architects led by HTA Design LLP. Part of their bid was to submit detailed plans for ‘the South West Corner’ (presently occupied by Arklow, Bradenham, Chartridge and Chiltern), and the plan is to start building here in 2016. NHHT, alongside Southwark, will be conducting a series of ‘consultation meetings’. They started in May, and there will be more in June, and again in August, and this ‘contact’ with the local community will, apparently, inform the plans for the rest of the Aylesbury. Watch this space, and here, and the NHHT website, “The Aylesbury is Changing” , for details. The staff at their May events were unable to discuss the price range of rents and service charges. Their brief was to discuss the design. Are you going to a consultation event? Ask what the new rents will be. LET THEM KNOW YOU’RE INTERESTED IN AFFORDABILITY! Southwark and the NHHT are proud advocates of ‘The Aylesbury Area Action Plan’. This plan is going to entail a net loss of 680 homes for social renting on the Estate’s footprint. And a near doubling of density. None of the new homes will be Council homes. We are hearing the mantra from Southwark officers ‘We will not repeat the mistakes of the Heygate’. What does that mean? One thing is that there is strategy on the Aylesbury not to postpone dealing with tenants and leaseholders who might, for one reason or another, be ‘difficult to move’, and ‘engage’ with these residents earlier rather than later. The Council is desperate to ‘deliver vacant possession’ to the new developer. ( http://35percent.org/blog May 24th). See this website for details of more action by Aylesbury Leaseholders Aylesbury Leaseholders Action Group. One way or another, nearly all of the 636 residents from Arklow, Bradenham, Chartridge, Chiltern, 300 – 313 Missenden and 1 -59 Wolverton, tenants and leaseholders, have been rehoused by Southwark in the past two years. We didn’t think it could be done, and we wonder, in the intervening period, what the impact was on the rest of Southwark’s Housing waiting list. Aylesbury Tenants and Leaseholders First haven’t yet got a breakdown on the figures of where residents have been rehoused, for example, how many tenants have been rehoused in Council homes within the borough, how many in Housing Associations, and how many have moved out of the borough. We wonder how many Aylesbury residents were evicted in the run up to their block being ‘evacuated’, for example, because of the impact of the ‘bedroom tax’ on being able to pay their rent. We wonder where the leaseholders have moved to. We hope to be obtaining these facts and figures shortly. Some research on the experience of displacement here has been conducted by a team from King’s College London. Their work, in collaboration with Just Space, Southwark Notes Archive Group, professor Loretta Lees and The London Tenants Federation, has culminated in ‘Staying put: an anti-gentrification handbook’, the launch of which took place on Thursday June 12th at Queen Mary’s College. Everyone, Council and the researchers alike, agree that the process of displacement is particularly tough for the elderly, placing them under immense physical and mental strain. The number of people in Housing Need is currently 20,000 in Southwark, & 1.8 million nationwide. On the Aylesbury, Southwark’s plan has changed due to the Government withdrawing the PFI. Southwark Council are now seeking one giant consortium (one or more Housing Associations and Finance institutions joined together) to redevelop the whole estate. This procurement process alone will take another two years. The rebuild that will start after that is estimated to take another 30 years. London and Quadrant meanwhile have won a bid to develop Wolverton 1-59. 147 homes will be crammed onto this plot. Where there were once 41 homes for social renting with 3 bedrooms or more (18 owned by leaseholders) L&Q’s plan is to build only 34 (altogether, including the 1 and 2 bed properties, only 49 of the new homes will be for social renting, that is 33%, slightly less that the already low 37.5% of the AAAP. The 52% TOTAL ‘affordable’ SOUNDS generous, BUT is less than the 59% that the AAAP states is necessary for Phase 1 of the scheme). The MUGA (multi-use games area) and 33 mature trees will go, new planting impaired by the presence of an underground car-park, and two new huge blocks of 8 and 10 storeys will overshadow Thurlow Street, with the top floors, and the best views, reserved for private buyers. The main aim behind Council Housing is to provide homes that are affordable to ordinary working people. With Privatisation (and this is increasingly true even of Housing Associations, vulnerable to the fluctuations of the housing market and pressure to comply with Tory-monetarist Government guidelines) this aim becomes sidelined by the necessity for the Landlord to maximise their profit. Last year L&Q made a £95million surplus, and chief executive David Montague’s annual earnings rose from £208,000 to £218,000. Service charges at L&Q’s Albany Place for all residents, including those ‘social renting’, are £199 a month, making it prohibitive for many Aylesbury (Chiltern, Wolverton, Chartridge..) “Home-searchers” to think of moving there.